As a Pastor, I find this analysis not only offensive, but also lacking in accuracy, lacking in an objective understanding of history, and lacking in logic. Our president’s grasp on history is abysmal. For someone who has a law degree from an Ivy League school to make such statements is frighteningly revealing about his view of our country, of the threat of Islamic Terrorism, and the extreme bias he has against the America built by the “Great” generation. It also shows a completely faulty logic in how he thinks we should strategize against the very real threat of Islamic terrorism. A little reading will show the normal citizen that the crusades were a response to, guess what, Islamic aggression. There is no getting around it. Regardless of what may or may not have happened during these crusades on the battlefield or otherwise, the reason for the Crusades were to take back territory important to Jews and Christians which had been invaded by Islamic armies. Territory which had been held for thousands of years. The Crusades were not random acts of violence. They were supported by secular authority (English, German, and French Kings) as well as church authorities. They involved organized armies; the largest one being 50,000 soldiers (or knights). It was about geography as much as theology. There are many opinions about the Crusades: pro and con. They are often used to smear the cause of Christ, the Church, and Christians in general. However, one thing they are not is anything like the Islamic terrorism we are facing today. Oh, and by the way, the USA did not participate in the Crusades. Sigh, yes, some preachers and churches supported these travesties against humanity – “some” being the key word. But Obama fails to note that the church and Christians also comprised the majority of the effort to eliminate slavery and Jim Crow. Martin Luther King, Jr was a pastor. Many of the people who followed him, white and black, were church-going people and Christians. Much of the resistance against slavery in the North was organized by Christians. 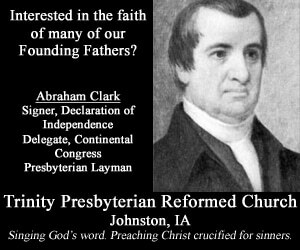 More pastors preached against Slavery than supported it. Slavery in Europe was defeated by those with Christian backgrounds; including William Wilberforce who was an evangelical Christian. To blame a weak position against Islamic Terrorism on the sins of a few Christians in the past is ignorant and a cop-out on his responsibilities to have a strong position against terrorism. It also shows a deficient understanding of the role of Christians in the past to defeat slavery and Jim Crow. As a former law professor, I would expect our president to have a little better grasp on the common principles of logic. How does this make sense? Of course we should learn from our past, the mistakes of our forefathers, and history in general. However, the facts of today should be the primary focus of determining our response to terrorism. Those facts include: prisoners being burned alive in cages, beheadings of children, mass genocide against anyone opposed to political agendas of Islamists, public beheadings of anyone they capture, recruitment of young people from around the world as terrorists, incremental take-over of cities where Islamic populations have increased, and more. Oh, and lest we forget, flying commercial airliners into skyscrapers. The Crusades or Jim Crow laws, or a few Christian preachers from the past should have no bearing on our response today to the facts. As a pastor it is difficult to write against our president. 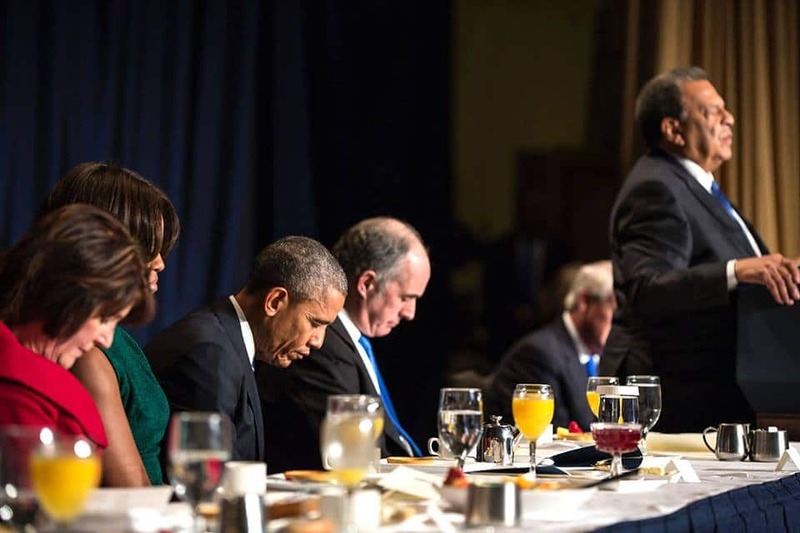 I publically encourage our congregation to pray for him and for the leadership of our country. Those reading this need to understand that as a Christian leader, I am showing restraint and trying to temper my comments. I’m afraid that the bias our president is so concerned about, that of the past, is blinding him to present facts. In his effort to avoid any form of racism, bigotry, and repeat historic sins, he is weakening our country and failing our allies. And yes, let’s not get on a high horse of arrogance; but let’s do get on a even higher horse of moral outrage and lead the charge against the pure evil of Islamic terrorism. Is there any doubt that this President is a Muslim and a Muslim defender? Is there any doubt that this President is a tool of Satan? Is there any doubt that this President wants to weaken and destroy America? No, not in my mind. I just listened to all of Obama’s comments. When he said the word “Christ”, you could tell he had a difficult time saying it. His inflection changed and his voice dropped. Almost like it was a “hush, hush” type of word. Really interesting. Wow, look how angry and unhinged so many of these “Christian ” followers have became over a perceived slight. I assume they must be part of that crowd that shot up the cartoon newspaper offices in Paris. Thanks for confirming how irrational and unstable Christian religious followers can be. They remind me of inflamed Muslims. I guess the truth hurts when it comes to religion. J. Russell, How do you interpret this article or the responses as being “unhinged”and “angry”? The article simply points out Obama’s errors in history and logic. There is no name-calling or call to violence. Why don’t you critique the article and/or president’s comments and have some constructive conversation instead of making unjustified accusations. Robert Romano: U.S Senator Chuck Grassley (R-IA) and Senate Majority Leader Mitch McConnell have one job to do on Obama’s SCOTUS nominee – nothing.